The museum is located in Altoona, Pennsylvania and is the best place to learn a lot about the life and the essential contributions of railroaders to American life and industry. 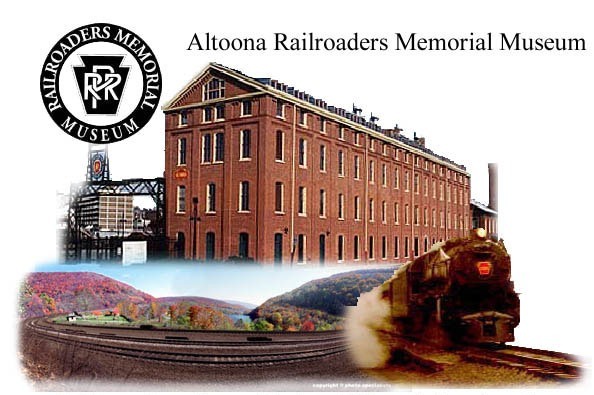 It is dedicated to revealing, interpreting, commemorating and celebrating the significant contributions of those railroaders way back in the time when life in Altoona revolved around the railroad. The museum building has 4 floors but only the first 3 floors are open to the public, the 4th floor being used only for special events and where some offices are also located. Before checking what's inside the museum, ne sure you have your copy of the museum's guidebook (free) which has a detailed map about the museum and can guide you through 3 floors of exhibits. The guidebook is available at the lobby. So, once you're in the museum lobby, you will see a life-sized replica of the K-4 #1361 that was made as a tribute to the 6,000 steam locomotives built in Altoona, and the workers who built them. It's here where you'll start your journey where the sounds of steam engines turn you back to the days when rail was king. The museum is housed in the historic 1882 Master Mechanics Building which was once a home to the extensive testing labs of the "Pennsy." In the museum is also where you can see the historic rail cars in the yard which includes the historic Mountain View Observation Lounge from the famed Broadway Limited. Be sure to visit the Norfolk Southern Theater located on the 1st floor for some historic films. On the 3rd floor is where you can take advantage of the Railroaders "Call Board" where you can look up information on more than 18400 railroaders. If you are heading to Horseshoe Curve as your next destination, you're pretty much close from the museum. From the museum's parking lot, turn right and go 2 tenths of a mile to 17th street. Turn right to 17th Street, go one block then turn left to Margaret Avenue. Go 2-tenths of a mile, and Margaret flows into broad Avenue. Continue for 1.6 miles and turn right to 40th Street. Follow the "Heritage Route" and Horseshoe Curve signs 3.6 miles to the Curve. Ever heard of the Valence Group?